Today’s show is a grab-bag of goodies. If you keep up with pop-culture, you’ve probably come across the show Extreme Makeover Home Edition. If you’re not familiar with this show, they select a family in need and makeover their home. One family they selected actually lived about fifteen minutes away from me, so when I read this story it really hit close to home (no pun intended). 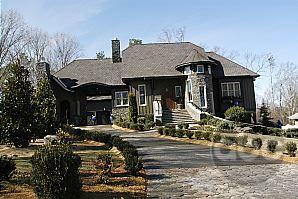 As described in the July Atlanta Journal the largest home ever built on this show, which my wife can vouch for because she actually attended two of the construction days, is now in foreclosure. I find this so sad! This family fell victim to the same poor financial decision making that is one of the reasons for the current state of our economy. They were given a house worth anywhere from $550,000 – $650,000. They were even given enough cash to pay the taxes on the home for something like 20 years. This couple then decided they wanted a piece of the American Dream. They wanted to start their own business. Don’t get me wrong, I am all for entrepreneurship, and I support small businesses, BUT a decision to go out on your own and start a business from the ground up takes planning! Even with planning, most first time small businesses fail. Knowing this, it would never make sense to leverage your home, the very shelter that keeps you protected from the elements at night, on such a risky endeavor ESPECIALLY when this home has been given to you free and clear. As you listen to the show I’ll share my complete thoughts on this and even share some of my personal experience in starting successful businesses. I also address a listener’s email that was curious as to how financial planners actually work. In the show I share two basic models that fee-only planners typically use as well as some of the specific procedures we use at our firm. A few of you have asked me to provide my review of The Dark Knight movie. In short I loved it, but it is definitely not a movie for the kids. Also, if you like Aaron Eckhart, I highly suggest you check out the satirical comedy, Thank you for Smoking.